Two years later, an inspired Sugimoto began working on Diorama. The photographic series has already spanned four decades, during which time he has travelled to natural history museums across the United States, documenting their dioramas with an 8×10 large-format camera. His intention is to subvert the supposed objectivity of photography by deceiving the viewer: at first, these pictures appear to be like the black-and-white photographs usually found in National Geographic, until closer inspection reveals detailed brushstrokes. Gerhard Richter’s early photorealistic portraits are an obvious influence. Pace London’s exhibition presents a lustrous selection of these monochrome images, which combine form and concept majestically. The photographs on show were taken in the New York museum between 1976 and 2012 (some recently printed for the first time), and feature dizzying landscapes from the Alps and Alaska, to the Galapagos and California. But although ‘Still Life’ speaks of worldly beauty, it suggests the inherent violence in the natural world too: a grizzled polar bear glares at a bloody seal carcass, lizards crawl beside gnarled cacti, and warthogs raid an ostrich’s nest for eggs. 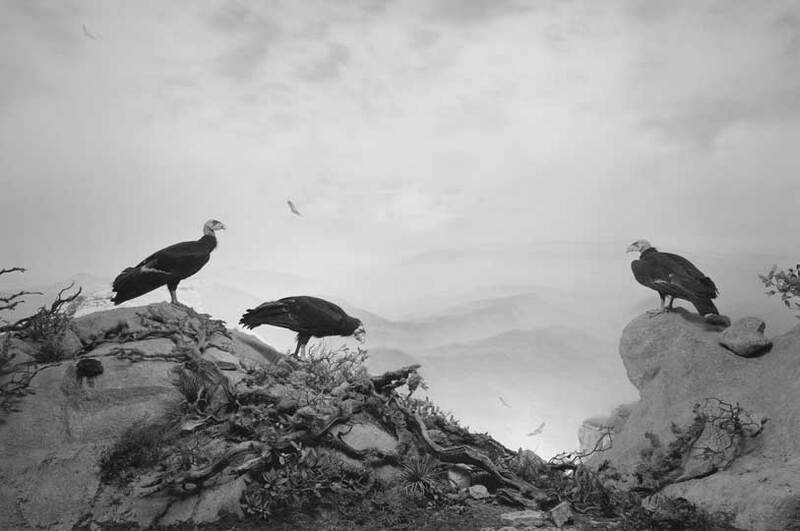 For Sugimoto, photographs are like fossils, in that they both halt the flow of time in a certain way. Perhaps that’s idea that he is playing with now, since there is little change in style between the first and last of these photographs, despite the gap in time between their production. Though, it may also be because Sugimoto’s artistry rarely wavers or alters (even in high school, he would frequently visit the cinema to take photographs of Audrey Hepburn in her latest film). This sort of trompe l’oeil photography is no longer the most original of ideas – as Joan Fontcuberta’s puckish images at the Science Museum earlier this year attest – but when Sugimoto first began, his concept was radical. There are no labels in the exhibition, which omits the didactic elements of a museum display, and thereby amplifies the works’ aberrance. Furthermore, these photographs are still bold and arresting – some using exposure times of up to 20 minutes, some prints stretching almost five metres wide – and they remain undoubtedly memorable. 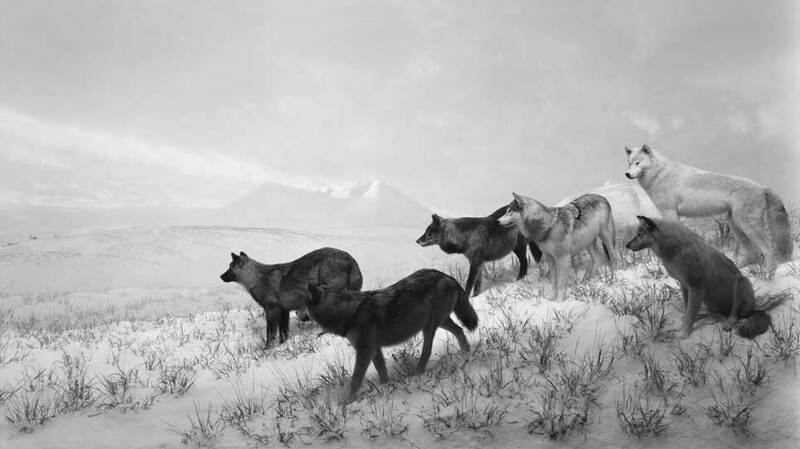 ‘Hiroshi Sugimoto: Still Life’ is at Pace London until 25 January 2015.